The Greenpeace office in Quezon City is probably empty and everybody there is probably spending much needed quality time with their loved ones as I have done this past week. But even as I enjoy the company of my family, friends and loved ones, there’s that lingering knack in me that made me log on and not let this blog empty on this joyous day. So in behalf of the Greenpeace family here in Manila I would like to greet everybody Merry Christmas! Allow me to share this video of Alex the Penguin and the cutest menagerie of singing animals wish to say a BIG thank you to all Greenpeace supporters. 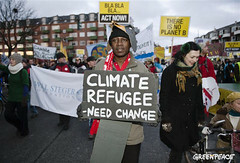 Greenpeace has journeyed around the world, campaigning against climate change, fighting to preserve forests and oceans, lobbying for clean water and food free of pesticides. With your support generations of singing animals and our beautiful planet now have a much better chance at a safe and green future. Click here to share this video to your friends! Click here to read my Christmas reflection: Christmas in the midst of a climate crisis. 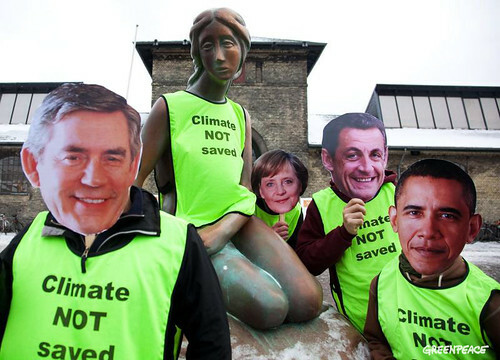 “The world was waiting for the spirit of yes we can, but all we got was my way or the highway.President Obama can still save Copenhagen by doing what he called on other leaders to do and give some ground by increasing his commitment to cut global warming pollution. But as it is he crossed an ocean to tell the world he has nothing new to offer, then he said take it or leave it.